Your pet deserves the best care you can give it. So when it comes to their general care, why not partner with Randleman, NC finest veterinary care clinic? At Lakeview Veterinary Hospital, we provide veterinary medicine with care and compassion for all of our furry friends. We offer general check-ups and help when your companion isn't feeling his or her best. We also offer a variety of surgical and preventative care services. So when you need veterinary medicine or treatment in Randleman, call us for an appointment first. You'll also find our rates to be competitive, and that we have several payment options available. Providing outstanding pet care is about staffing the best in traditional and veterinarian services. It takes a team of professionals who truly care for animals and the people who own them. It means offering services that run the gamut of what it takes to keep an animal in good health. If that's the kind of clinic you're looking for in Randleman, NC, then you've found it right here with Lakeview Veterinary Hospital. From pet vaccines to surgical procedures, our Randleman-based veterinarians take a professional approach to all we do. We follow strict procedures given to us by our general and veterinarian team to provide services in the cleanest and safest environment possible. Each member of our traditional and veterinarian team here in Randleman is highly qualified, board certified, and fully capable of providing complete pet care services to your beloved companion. 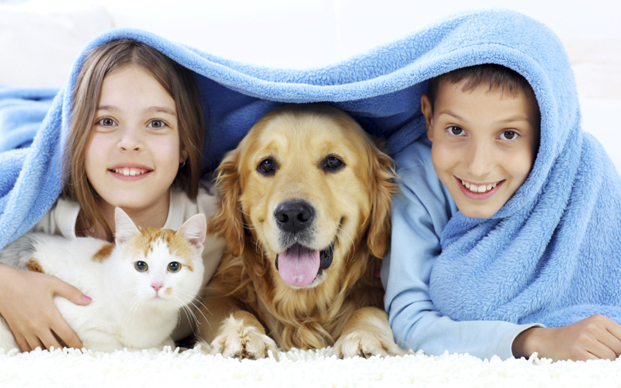 From pet vaccines to wellness and sick care, you can count on us. We are also members of the DVM. You won't find a more compassionate or caring team of veterinarian service professionals in Randleman than with Lakeview Veterinary Hospital. We always provide a gentle touch with your pet. Whether it's pet vaccines or something more intensive, your pet will always be in caring hands.